François Bouvier writes true, it’s Pearl. 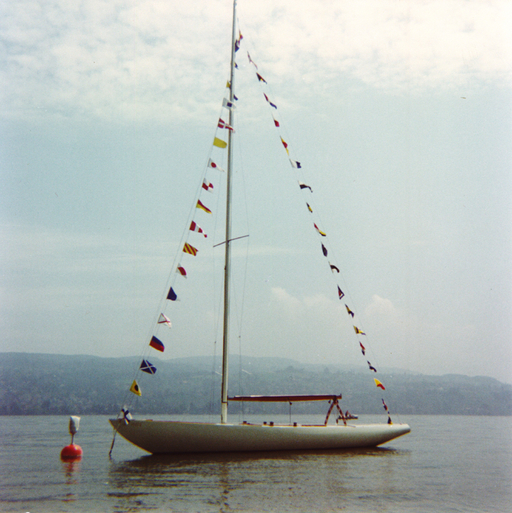 Z-64 is originally La Perle (owner A. Lutz, certificate 1964) and was built in Portier in Meilen at the Lake Zürich. The Dutch boat La Perle NED-6, which was destroyed 2002 in a fire, could be this boat. In the rating certificates of 1965 and 1973, SUI 64 is named " La Perle", instead of "La Poule", given in races results. Wich view of the same, hem, object, is the good one?